London is the wealth capital of the world, playing host to more billionaires than any other city on earth. The British Museum at Great Russell Street in London was inaugurated in the year 1753 with a rare collection of human history that dates over 2 million years. The treasures that can be viewed here include Egyptian mummies, Pantheon sculptures and the Rosetta stone. It is on records that up to 6 million visitors come here annually. The National Gallery is home to an enormous collection of Western European artworks that span the 13th and 14th to the 19th centuries. Such masterpieces from Van Gogh, Renoir, Titian, Da Vinci and Constable are on display here. Entry to this gallery is free except during special exhibitions that may require special tickets. The National History Museum at Cromwell Road in London is home to the exclusive collection of the biggest and rare species of mammals across the globe. Here you find on display, a spider that is 40 million years old, a life-sized blue whale among others. Special exhibitions require tickets otherwise entry is free. 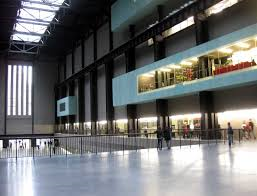 Right on the banks of the famed River Thames, is the Tate Modern. It has been reviewed as a repository of contemporary and modern artworks. Built with a unique shape, it houses restaurants that offer a picturesque view of the city of London. Special exhibitions require tickets here otherwise entry is free. 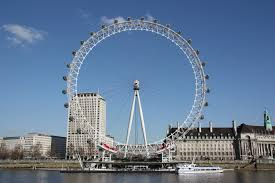 The London Eye is a prominent feature of the skyline of central London and stands majestically at the Westminster Bridge Road in London. It shares the space with the county Hall at the Riverside Building. It is a landmark that visitors don’t want to miss out on here in London.